During last night’s big football game, Toyota ran a rather unexpected ad for the new Supra. In it, stunt driver Greg Tracy wheels and drifts an A90 through a giant pinball machine. It’s not a new concept, because not only is Toyota remaking old sports cars, it’s remaking old commercials as well. The original ad debuted in 1985, when the beloved AW11 MR2 was just reaching our shores. The nimble midship runabout weaves its way through a giant pinball machine, ending with a big jump and a declaration that it’s won the Motor Trend Import Car of the Year award. In last night’s Superbowl ad, the new Supra does the same, though the original ad is never referenced. However, it’s clear that Toyota is targeting a certain demographic for its new sports car — namely, people who remember what pinball is. On the other hand, if you’re into conspiracy theories, perhaps this is a hint that the MR2 is coming back. tagged: A90, aw11, mr2, supra, toyota. No Subaru or German content please. The stunt driver of the Supra looks soooo smug. Don’t all German car drivers? I had an ’87 MR2 and it was fun. Hope they make ’em again.Also had a ’67 Mustang w’ a 289 and an ’81 RX 7.. . over the years. That midengine rocked. Like a REAL fast go-cart. 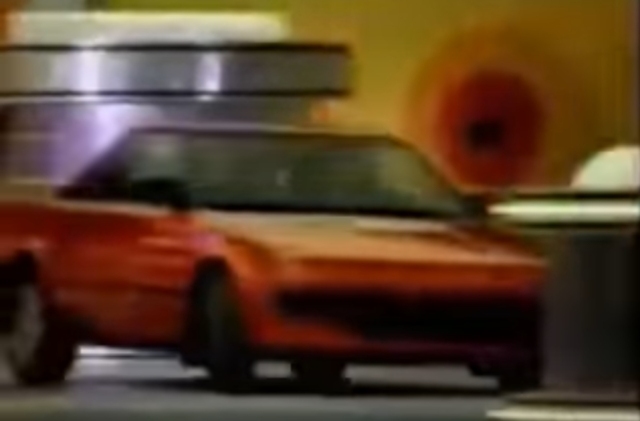 It’s so fun you made this post cause I immediately thought of this old MR2 ad when I saw the new Supra commercial! hey at least they proved that heavy things… crush… other… things? It’s SCIENCE! It’s a classic. Cheers to your brother! Thanks! The team worked really hard on it! I agree. I hope they bring the mr2 back. I have owned a 1985, 1991 & currently own a 2003(still with no major repairs needed).